On March 10, 2009, to celebrate the 70th anniversary of the film, the Platinum Edition of Pinocchio was released on Blu-ray and DVD. The film was given a special digital restoration, and the release included several special featurettes, including a behind-the-scenes making of feature, a look at Walt Disney’s artistic review process, and several key pieces of background and concept art. Posted in Uncategorized and tagged 2000s, Animated Feature Film, Color, DVD. Bookmark the permalink. On December 28, 2006, Disney announced its year end box office gross of $3.26 billion. The year had been a successful one in several areas for Disney, ranging from its box office receipts and records, DVD sales, the Pixar acquisition, hit Disney Channel shows and movies, and its Broadway productions, among other profitable areas. In this report, Disney also claimed the top two box office spots for the year, with Pirates of the Caribbean: Dead Man’s Chest which earned over $1.06 billion, and Pixar’s Cars which grossed $462 million. Disney also had the three best-selling DVDs: Pirates of the Caribbean; Cars; and The Chronicles of Narnia: The Lion, The Witch and the Wardrobe; these releases gave Buena Vista Home Entertainment an industry milestone. Posted in Uncategorized and tagged 2000s, Animated Feature Film, Corporate, DVD, Live Action, Walt Disney Studios. Bookmark the permalink. On December 26, 2005, the special edition 2-disc DVD of Toy Story 2 was released through Walt Disney Home Entertainment. The film was mastered for the latest home entertainment technology, and featured deleted scenes, outtakes, and a special game to let the viewer discover which toy they are. A further special edition would be released almost five years later. Posted in Uncategorized and tagged 2000s, Animated Feature Film, Color, DVD, Home Video, Pixar. Bookmark the permalink. On November 8, 2005, the first volume of the animated series Chip ‘n’ Dale Rescue Rangers was released on a 3-disc DVD set. 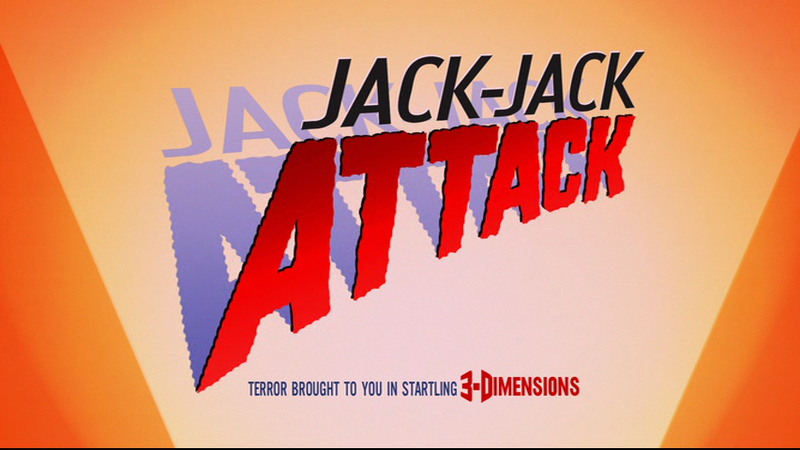 The first set includes the first 27 episodes of the series, split into nine episodes each disc. A second volume was released on November 16, 2009, with episodes 28 through 51, along with all episodes of the five-part pilot. Posted in Uncategorized and tagged 2000s, Animated Series, Color, DVD, Television. Bookmark the permalink. 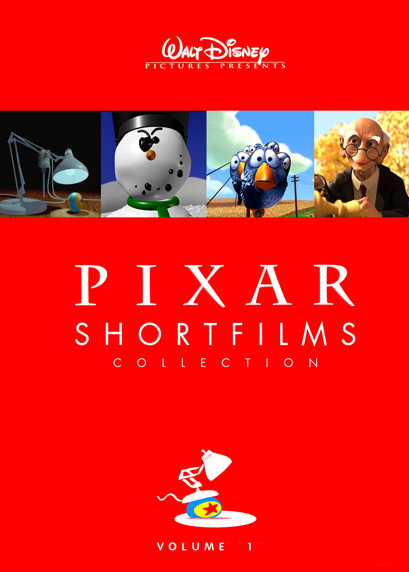 On November 6, 2007, the Pixar Short Films Collection was released on DVD. The collection contains short films created by Pixar Animation Studios, dating back to their premiere short film The Adventures of Andre & Wally B., released in 1984 at the SIGGRAPH Conference, and ending with 2006’s Lifted, originally released alongside Ratatouille. The collection also features a short documentary called The Pixar Shorts: A Short History, and several shorts featuring the Pixar lamp that were created for the show Sesame Street. A second collection of shorts was released on DVD and Blu-Ray on November 13, 2012. Posted in Uncategorized and tagged 2000s, Academy Award Nominated, Academy Award winning, Color, DVD, Pixar, Short film. Bookmark the permalink. On March 22, 2009, the special short film Super Rhino was released on the DVD release of the Disney animated feature film Bolt. 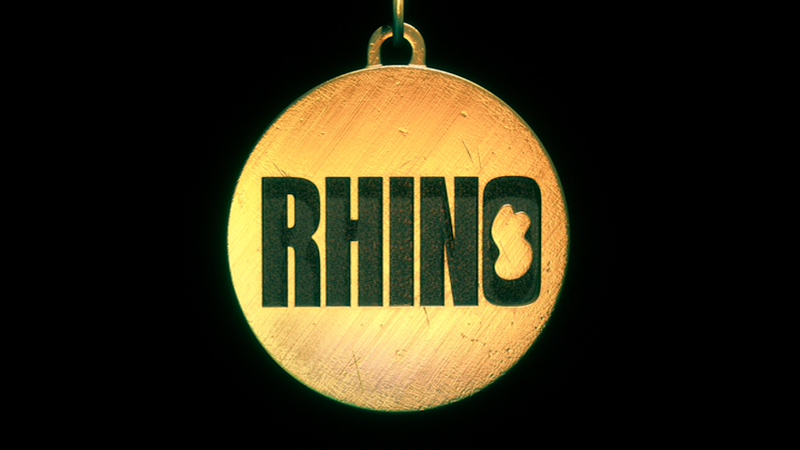 It was written and directed by Nathan Greno, and stars Mark Walton as Rhino, Malcolm McDowell as Dr. Calico, Miley Cyrus as Penny, and Susie Essman as Mittens. The short begins with Calico already touting his success as an evil villain, as he has caught Penny and Bolt and has them suspended over a large pit of lava. Through a camera in Bolt’s collar, Penny’s father is able to see their capture, and although he can’t save her, he knows who can: Rhino the hamster. Penny’s father uses his scientific contraptions to create a super hamster, and Rhino is soon sent to save the pair. He attacks all the guards outside, and makes his way into Calico’s fortress, exclaiming that he created a door with lasers from his eyes. Calico looks dumbfounded as he sees a hamster standing before him. Every guard shoots everything they can at Rhino, but the newly super Rhino is able to avoid the shot and rides a missile, using it to cut down Penny and Bolt, and safely catches them as they fall. Calico starts proclaiming that he will win next time, but Rhino interrupts him and, using his own version of the “super bark,” sends a wave of lava flying over Calico, burning him and his cat. Penny and Bolt thank Rhino, who calls the two “cute,” before proclaiming he has an urgent matter to attend to. He is then seen at a concert, where he starts singing Hannah Montana’s song “Best of Both Worlds” to an adoring crowd. It is then revealed that he has been dreaming, and has woken up Mittens, who is not a fan of his singing. He rolls over and goes back to sleep, dreaming once again that he’s going to save the world after answering a call from the President of the United States. Posted in Uncategorized and tagged 2000s, Animated Feature Film, Computer Animation, DVD, Short film. Bookmark the permalink. On March 15, 2005, the Pixar short film Jack-Jack Attack was released on the DVD release of the animated feature film The Incredibles. It was based on the film, exploring the powers of the youngest Parr, Jack-Jack. It was written and directed by Brad Bird, with story by Teddy Newton, Mark Andrews, Rob Gibbs, and Bosco Ng, and starred Bret Parker as Kari, Bud Luckey as Rick Dicker, Eli Fucile as Jack-Jack, and Jason Lee as Syndrome. The short begins with Violet’s friend Kari being interrogated by government agent Rick Dicker. He asks her about the “incident,” and she starts relaying the story of her babysitting gig for the youngest Parr, Jack-Jack. She is seen on the phone reassuring Helen that everything’s just fine, for surely a baby like Jack-Jack couldn’t get into any trouble. She then starts playing Mozart and having him play with educational toys, but when Kari turns around after placing the CD in the player, she finds Jack-Jack missing, only to find him on the kitchen table. As she chases after him, he disappears from there and is found at the fridge, drinking a bottle of milk. She remarks on how weird this is, and calls Helen again, leaving her a message about a question she has about Jack-Jack. As she is leaving the message, Jack-Jack starts floating, and sits on the ceiling. Kari looks for him, and when Jack-Jack opens his bottle of milk, the milk falls out and lands all over Kari. Kari calls Helen again, this time having kept Jack-Jack trapped in his playpen, with a recliner and several large books on top of the playpen to keep him caged. 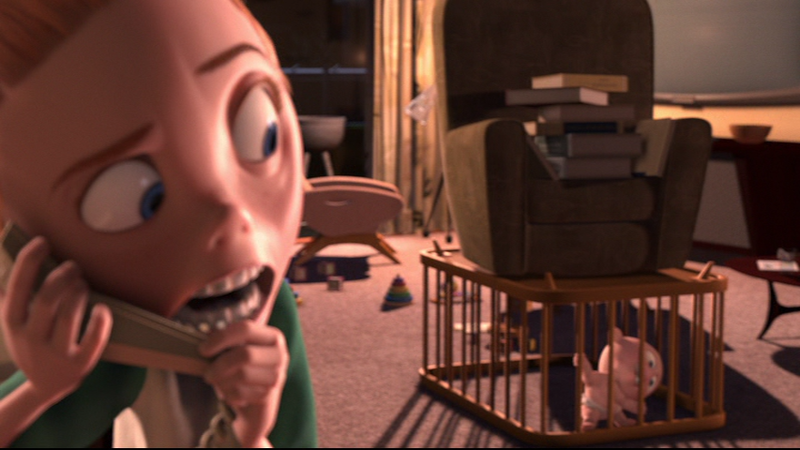 As her message starts to get more panicked, Kari turns around to find that Jack-Jack has bitten his way out of his cage, and is on the bookshelf. She notices him start to fall, but when she goes to catch him, he seemingly disappears, leaving only his diaper behind. She runs down the stairs, and finds him floating and transporting himself through the walls. Kari finally catches him, and ties him to a weighted barbell so he won’t disappear again. As she attempts to do a calming activity of flashcards, when she shows him a flashcard of a campfire, Jack-Jack is suddenly set ablaze. He runs around the house as a giant flame, and she finally is able to pick him up with tongs and extinguish him in the bathtub. In the morning, the house is a shambles, as Kari is on the verge of collapsing, holding a fire extinguisher and extinguishing Jack-Jack every so often. He shoots lasers out of his eyes, but Kari holds up a mirror to deflect the rays, leaving a mark on the ceiling. Suddenly, the doorbell rings, and Kari answers it to find Syndrome. Nearing the edge of insanity, Kari nearly frightens Syndrome, and she assumes he is her replacement, handing him the baby. She asks him what the “S” on his outfit stands for, and he quickly tells her that it stands for “sitter.” He goes on to say that he was originally going to have the initials for “babysitter,” but that would have been “BS,” and that wouldn’t have been a great idea. Agent Dicker then interjects with the statement that Kari believed him, and she erupts, and asks if he’d ever seen an exploding baby before. He stands up, grabbing a box with a red laser on the front, and asks her if she told anybody else about the incident. She says she told her parents, but they thought she was being funny. She asks if Agent Dicker believes her, and he says he does. She then wishes aloud that she could forget the whole thing, and he tells her that he will before using the box to wipe her memory. Posted in Uncategorized and tagged 2000s, Color, DVD, Pixar, Short film. Bookmark the permalink.